Today we live in times when our motorcycle tires are the envy of our peers of yesteryears. Much like the generational leaps that today’s motorcycles have made from previous generations, motorcycle tire technology has allowed for the kind of performance that only a select few can actually outride. 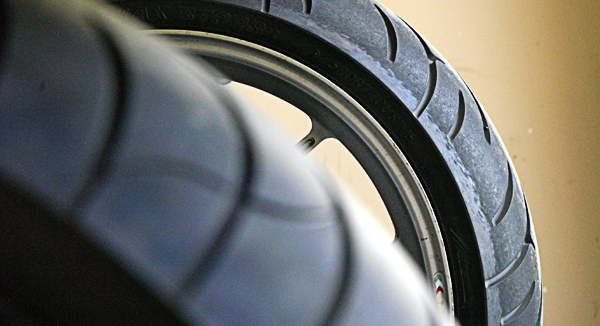 Today, motorcycle tires provide more grip than the average rider needs. Still, it would benefit one to know the distinctions between today’s tires, and how to recognize when the need to “move up” to the next level of grip as needed. 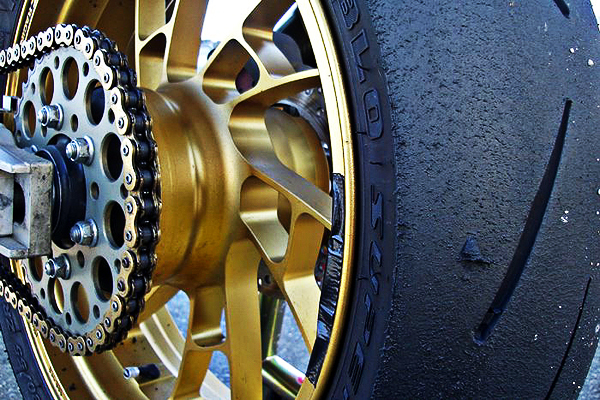 Generally, you have three kinds of sport tires – Street tires, Race DOT’s, and Slicks. Street tires are the most common types of tires sport riders experience. There are a lot of variations of street tires, but generally, if the tread have grooves, then they are street tires. Street tires offer plenty of grip and tire life for the rider, sometimes more of the former than the latter, or vice versa, depending on the type of street tire. Race DOT’s are a step up from street tires. These tires are still “street legal” as they still have grooves to allow them to be used for street riding. Along with water displacement, tire grooves also allow tires to heat up faster as the tread moves under load (see friction). When heated up, Race DOT’s provide tremendous amount of grip, more than enough to find these tires used in racing competition from club levels to the world stage. As such, Race DOT’s make for popular trackday tires as well. Slicks are race tires dubbed as such for their smooth tread surface without any grooves, which also means they are not street-legal. They also require more effort to heat up and get them to their optimal operating temperature, so it is pretty common for users to use tire warmers in conjunction with them. For absolute grip, however, there is no substitute for slicks. All three tires can be used for track riding. So how will you know which is appropriate for you to use? 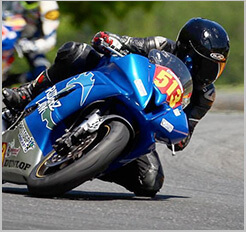 Back in March of 2009, I did a trackday with two of my bikes – one fitted with Race DOT’s and another fitted with street tires. I was able to ride both bikes – and thus tires – back to back, and the difference in grip became evident to me. At the time, the Race DOT’s did my every bidding I asked from them. When I demanded the same from my street tires, the discrepancy in grip meant that under heavy braking, my front tire would chatter, “skipping” on the tarmac at the heaviest point of my braking, unable to consistently grip under load. It also meant that my arc through corners were wider, with the street tires unable to track the same arc my Race DOT’s did for the same speed and momentum. You could adjust your riding to suit the street tires on the track, to go plenty quick on street tires despite their limit for grip. However, if your goal as a rider is to improve and go faster each session out, it makes sense to upgrade your tires when the symptoms exhibit themselves so that your tires do not become a limiting factor in your development. Remember that your tires are your only point of contact to the tarmac and that “contact” is really just the size of a credit card below your front and rear tires. That’s not a lot of contact, but there is a lot riding on it. So know when to work with more, than persevering with less.